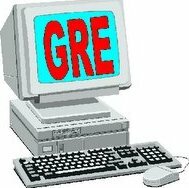 The GRE is a computer-adaptive test (CAT) that is offered by appointment throughout the year. It is composed of Analytical Writing, Verbal Reasoning and Quantitative Reasoning sections. Through one-on-one tutoring, one hour a week, I can give you all the skills you need to maximize your GRE performance without all the stress.